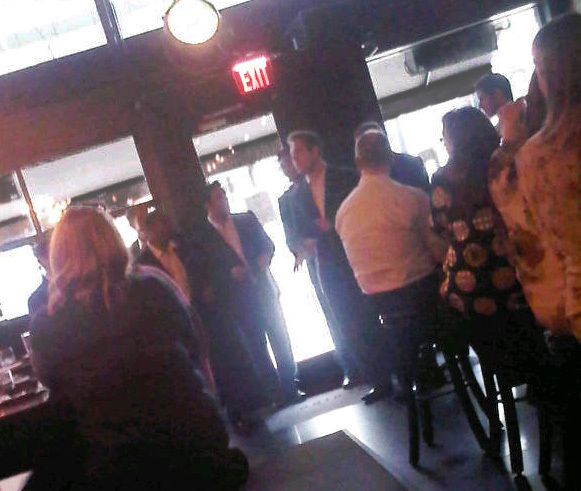 Straight No Chaser In Performance - Sorry about the blur. 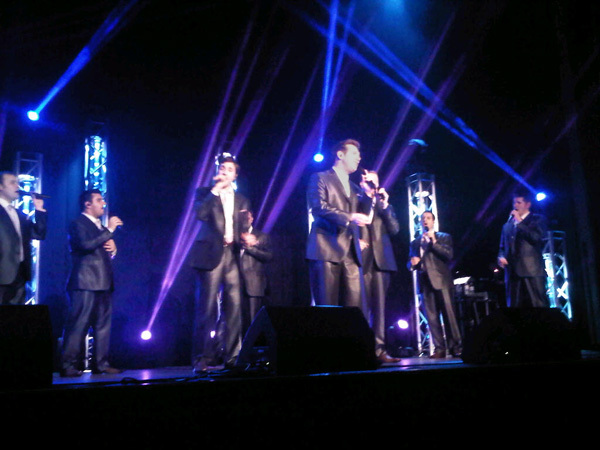 Tonight my husband and I took in a great show by one of our favorite music groups Straight No Chaser. If you haven’t heard their music, you are missing out on one of the greatest things in life, a celebration of the human voice. No synthesizers, no instruments, just voice. 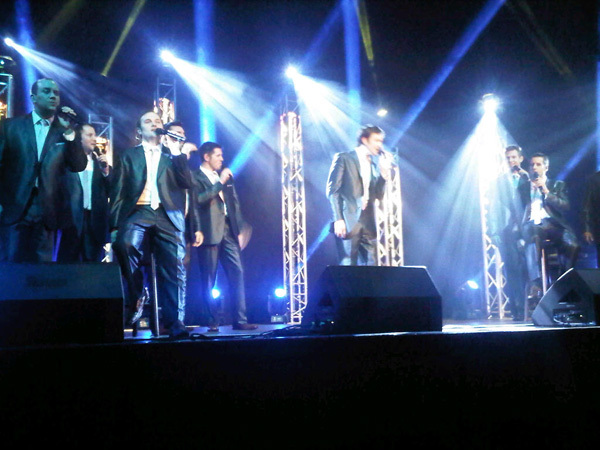 Straight No Chaser is an a cappella group of ten (rather attractive and amazingly talented) men. YouTube made them famous and now they tour and produce records. This was my second time seeing the group live, but the experience didn’t dull with familiarity. I shivered at their voices and their treatment of the music. They make me want to sing. From Madonna to Brian Adams from pop to soul classics I enjoyed every song choice in tonight’s performance. Thanks guys! Straight No Chaser In Performance - Dinner Performance. In recognition that YouTube made them famous, Straight No Chaser invites fans to record their shows and freely post segments. While I didn’t do any recordings I did get a few pictures. Please forgive the blur and rather low quality, I didn’t think to bring my dslr (next time). Inspired by the music I also took a few notes while the guys were singing. Watching other creative people enjoy their craft can be so inspiring. For today’s writing exercise I thought I might share some of the phrases that leaped into my mind while watching the show, and conversing with fellow fans. I felt that any of these phrases would make a great leaping off point for a story or a poem. They may sound a little strange, but we can’t always control where inspiration will take us. Read the following phrases, choose one that speaks to you. Write the phrase again on the top of a blank sheet of paper. Then, read the phrase slowly and directly below it write the first five words that come to your mind. Don’t judge or question; allow your mind to free associate and record the results. Now write six paragraphs. The first will incorporate your inspiration phrase (one of the three below). Each of the following paragraphs will use one of the words discovered in your free association. Happy Writing.